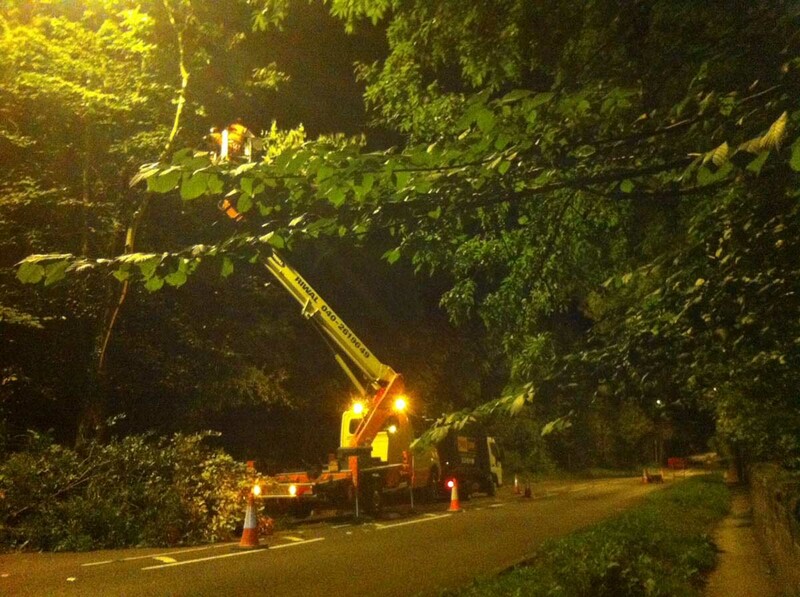 Treesaw was commissioned in October 2014 to clear tree overgrowth around several street lamp heads to allow maximum light to the highway along Pool Bank New Road, near Otley in West Yorkshire. 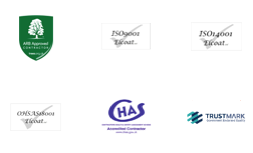 The work was undertaken at night between 7.30pm and 5am each day to reduce disruption to road users. 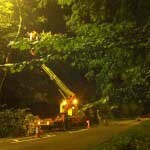 No machinery such as chainsaws or woodchippers were used after 10.30pm to comply with noise restrictions with arborists using hand saws and pole saws for the majority of the works. A Mobile Elevated Work Platform (MEWP) was used where the gradient of the road allowed. Traffic management in the form of traffic lights were used to control traffic to enable the works to be carried out safely and without risk to motorists or pedestrians. 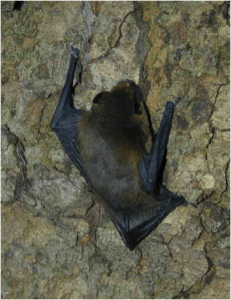 Particular attention was given to carrying out surveys for the presence of bat roosts before any work commenced. This was done with a preliminary scoping survey and again by the climbing arborist before work to each tree was commenced.